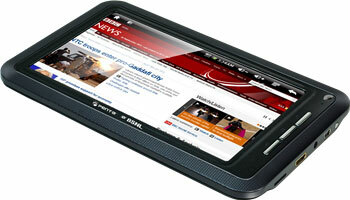 Bharat Sanchar Nigam Ltd (BSNL) is announced the new Penta TPAD Tablets will available in India wide from this March 1st. This is a low and medium range tablets which is manufactured by Pantel Technologies. The price range of Penta TPAD Tablets may be Rs.3250 to 13,500. A few days ago Pantel Technologies have started pre booking for TPAD Tablets. Virendra Singh, managing director of Pantel Technologies, said to The Mobile Indian, “Consumers who wish to pre book the tablets can book it online as well as over phone. Our tablets will be available in the retail market and BSNL contact centres by March, and by March 5 we will start shipping the tablets that have been pre booked by consumers”. Storege 2GB extended memory of 32 GB.